Muesli Bars that are gluten free, sugar free, dairy free, nut free and yet delicious and child friendly have been a quest for quite some time. Over the years there have been many commercial ones come and go but they always end up being very expensive and very high in sugar especially when they are nut free. Unfortunately our school has a nut free policy so we get creative with seeds around here! I find muesli bars are a great way to get a lot of nutrition into kids as biscuits tend towards the starchy sugary options. So after much fiddling and trialling on the kids we finally have a winner that is used everyday for school. I make a batch every week or so and pre slice and wrap for a quick addition to the lunchbox. 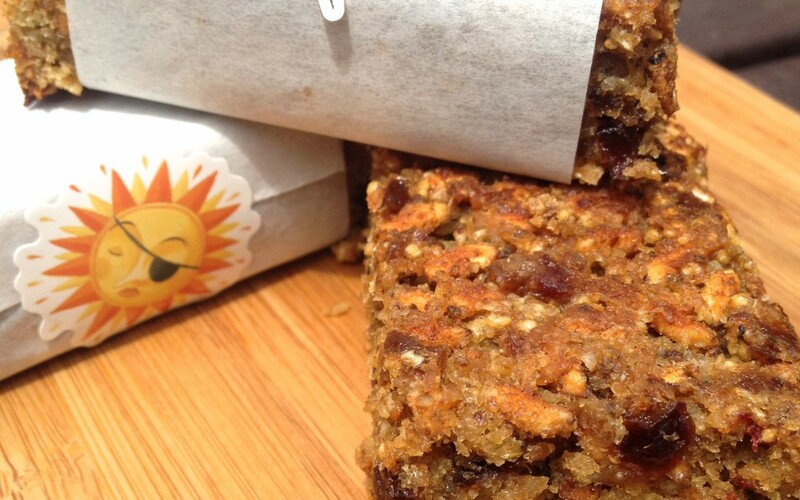 Make sure when sourcing your dried fruit for the museli bars that it is organic and sulfur dioxide (220) free. There is no need to ingest this preservative, I know the apricots look black but the negative health issues with sulfur dioxide should make you not care about the colour! Sulfur dioxide (220) is a preservative used in dried fruit and wine making. It can cause asthma, skin conditions, abdominal issues to name a few. In all the years of intolerance testing at our clinic there are not many people who are OK with this chemical. So avoid at all times! 6. Weigh into a separate large mixing bowl the puffed brown rice. 7. Add the mixture from the Thermomix bowl to the puffs and combine well using a spatula or large wooden spoon. Mix until all puffs are well coated. 8. Press mixture into a well greased or silicon square 22cm pan. 9. Bake at 180oC for 20 minutes … cool before removing from pan or cutting.